In this year’s list of the 50 most innovative companies in business over at FastCompany.com, the usual brands take up spaces. In the top 20 alone you’ll find Google, Apple, Dropbox, Nike, Netflix, Twitter and Tesla. Companies like these are used to being praised for their innovative approaches to their respective market places. The list almost always ignores carriers because, for years, they’ve always acted like carriers do. They’re there to offer a service and make as much money as possible, knowing that they’re necessary, they’ve never had to do too much to keep customers hooked. This year, that trend has stopped. The cell phone industry is ripe for reform, but who expected changes to come within its own ranks? T-Mobile has won over customers by offering free international roaming, no contracts, 200 MB of free data on tablets, and faster times between phone upgrades–that is, by trying to be customer friendly. It’d be all well and good for a company to try to change an industry which has its practices, traditions and ethos well engrained, but Tmo’s doing it, and it’s working. …T-Mobile’s unorthodox strategy is working, helping to stem 16 consecutive quarters of subscriber losses at the nation’s fourth-largest carrier. In the six months that followed Legere’s diatribe, T-Mobile added 1.4 million long-term subscribers, more than AT&T and Sprint. From May to December, its market value increased by more than 100%, and the company became the subject of feverish acquisition rumors. As for who finished behind T-Mobile, there were a number of notable companies. Between 21-50 you’ll see names like Fitbit, Square, Github, Flipboard, GoPro, WhatsApp and Phillips. Most importantly, there’s no other mobile carrier in sight. To check out the full list, head on over to Fast Company’s feature. It’s pretty interactive, and an enjoyable page to go through. Ummm you must have forgotten that unlimited data means …unlimited data! I’ve used over 61g so far this month and on your so called options above I’d be screwed! Thanks but no thanks I’ll keep T-Mobile! MetroPCS already competes here. They don’t have a discount for autopay (which doesn’t apply to multi-line accounts from Aio), but MetroPCS does discount each line $5, up to 5 lines, on a family plan account. The base plan prices are the same, but without throttled speed caps on in-plan data. Nope. I have 3 lines (2 unlimited) for $130 or $43/line. I use between 50-60gb/month. Don’t forget, ATT is ending the AIO brand once the Cricket merger is approved. The are merging it into one company. please go shill somewhere esle. It’s throttled and not unlimited. Also does not include the hotspot feature. No device financing either. T-Mobile already offers MetroPCS to compete on the low-end with companies like AIO (who will be shut down soon by AT&T anyway). It is well deserved. 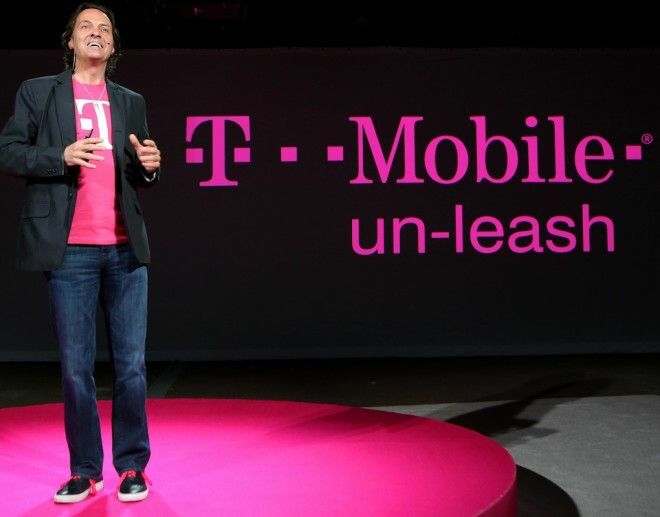 T-Mobile certainly did bring about some change and a new way to do things in the cellular industry. They are actively rustling AT&Ts Jimmies on a daily basis so what more could you want? Work In progress. It is no secret that there s a need for better coverage which is why they made a deal with Verizon recently. And are looking for ways to get more spectrum. They are looking at the upcoming auction but let’s see what happens. Still you got to admit they have made quite a 180 since the attempted take over. Who knew that doing things favorable for the consumer would pay off so well? Well deserved for what they did last year to the industry. It is definitely a drastic change for a company that thought cellular data was just going to be a passing fad. Tesla earns its money in a fast way, it lies. The software update that was part of the recall that was supposed to “fix” Tesla’s fire hazard hasn’t worked too well. He Tesla charge connectors are still overheating, melting and burning. Some Tesla owners are claiming that the software update actually increases the fire hazard in some cases by increasing the current when a fault is detected. The Tesla model S. still has defects that make it a fire hazard. Tesla charger connections are still overheating, melting and burning. Tesla is Junk. On 1/9/2014 Elon Musk said that replacement adapters that are part of the recall would be mailed out within two weeks. A month later Tesla customers have still not received the replacement adapters that are part of the Tesla model S. recall. Several people have been injured by faulty Tesla charge connectors. Tesla is big on making promises and hype, but short on delivery. Tesla needs to start making safety a top priority. Tesla needs to stop playing blame games and games with semantics. Tesla needs to stop lying. Tesla needs to be proactive instead of reactive. Tesla is being a follower of technology, rather than a leader. Tesla is a greedy corporation that has a disregard for safety. The Tesla model S. is an E-Pinto.. So you don’t like Tesla it seems. I guess one can argue that Boeing is crap also since their 787 is still causing problems for airlines with software glitches, leaks, battery problems, and costing millions to airlines for their planes being grounded. Norwegian Shuttle grounded their fleet requiring them to charter another airlines aircraft as a replacement about a week or 2 ago. But these companies are not crap and neither are their products. Both of these companies are doing things that others have not yet done. Just like the 787 needs to go through the process of finding the bugs in actual real world use that a year of testing didn’t find, Telsa model S needs to do the same. The difference is a 787 hasn’t fallen out of the sky so no one has been hurt, yet. The world of hurt Boeing would be in if that happened. Tesla is a customer service company that makes cars. I f you have a problem they fly a tech to you. That’s the difference…. The Tesla is already an overpriced unsafe vehicle. Ranger service is an extra cost. There are not enough Tesla service centers. Often customers, tow trucks or Ranger service has to drive for hours which can add days to repair time. Do you think Tesla customers are happy having a fire hazard in their garage, putting their home and family at risk? Do you think customers are happy that Tesla and Elon Musk are dragging their feet on the recall and putting safety as a low priority? Most innovative in 2014? It’s only February.